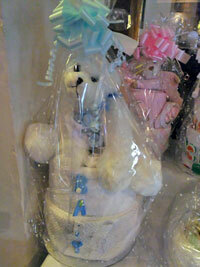 These professional towel and nappy handmade cakes are made to individual designs. Select from multi tier cakes filled with gifts for special occasions. Contact Donna to your individual requirements.